1. Chipped paint leaves your car open to corrosion. 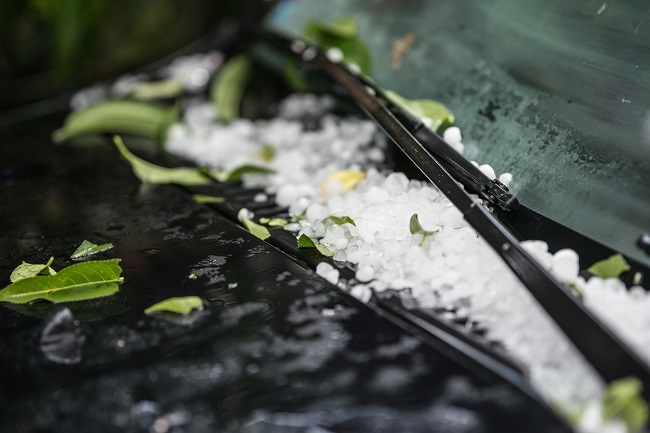 While most hail won’t punch through the roof or hood of your car, it will leave behind dents. Those dents put a lot of strain on the protective paint layer and make it more likely to chip. Once your car’s body is exposed to the elements, especially in the rainy fall and winter, corrosion will start to spread. Fix the dents before the paint chips. 2. Road salt can widen existing chips. Once your paint chips, it’s not just corrosion that will start spreading across the car’s body. The damage to the paint can also grow. Road salt and debris on the highways can start to tear more and more paint from the widened edge. Once that paint is gone, you’ll need more extensive (and expensive) repairs. 3. Get your car ready for holiday travel. If you’re going on the road for the holidays, make sure your car looks ready for the road. With PDR, you can repair the dents. The process is quick so you don’t have to worry about losing access to your car during the busy season. Removing the dents also reduces the risk of chips in the stressed paint if you’re taking it to coastal areas or up north. Go to Top Notch Image for a free estimate and quick Paintless Dent Repair in the DFW area. You can contact us here for more information or to schedule an appointment.